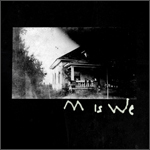 Myrtle Beach, South Carolina experimental noise band M Is We isn’t what I normally listen to while I write. They’re edgy, far more aggressive and certainly offer weirder turns. Sometimes though, turns out, I need that. Over the last week I’ve been re-writing a horror screenplay with the album M Is We on in the background and the sound seemed to bring something out in me. The dialog turned from stilted to awkward to menacing, mostly because I felt like I was scratching out lines and writing to keep up with the bizarre music. This might not fit everyone’s writing process, but being jarred from comfort certainly has its place in mine. This isn’t harsh, it’s unsettled, which can be a sign of good writing. A lot of the M Is We albums/EPs/recordings are free on Bandcamp and also offered cheap on Silber records (where there is a ton of cool ambient recordings) so check them out. 7 track mini-album from M Is We, the solo project of Michael Wood, also of The Wet Teens and Something About Vampires and Sluts. The CD is packaged in a homemade sleeve made from recycled card and handwritten photocopied labels, setting the scene for the kind of DIY music on offer here. Something's Burning is post-punk, in the angular understanding of the term rather than the proto-gothic sense, with ranty distorted vocals and choppy, stop-start noise guitars. Family Reunion is distorted lo-fi noisepop. Re-Knew is darkwave with an experimental edge, incorporating harsh, dark, angular and ethereal moments. 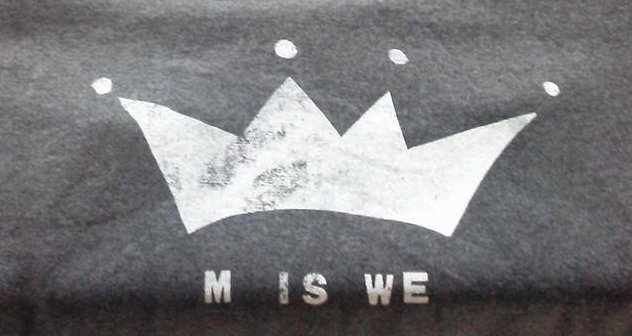 Arts and Krafts is off-kilter DIY indie-rock with effective use of electronics. Make it Through the Clouds is hypnotically repetitive experimental indie-rock. Sinking is a kind of experimental shoegaze, featuring atmospheric effects that give an underwater feel to the sound. A fine homemade release, balancing a pop sensibility with raw, angular and experimental aspects.